Dream Jackpot Casino was launched only in March 2017 but has already become popular because it operates on the White Hat Gaming software platform. The online casino has been issued Internet gaming licenses in Curacao as well as the UK. Players can, therefore, trust the casino to maintain the best industry standards. Dream Jackpot uses RapidSSL encryption technology to protect players and their financial transactions from Internet cheats and hackers. Since the online casino supports ZAR, South African players don’t have to worry about currency conversion fees. They can load their accounts using a number of banking methods that are convenient to the residents of South Africa. If players need help, they can launch the 24/7 live chat window to instantly get in touch with a customer support agent. As soon as they register a real play account, South African players will receive a bonus of R9,000 plus 150 free spins, spread over their first three deposits. 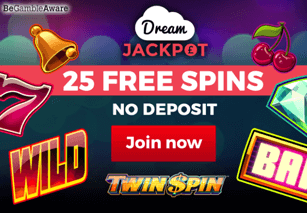 They can use all this free bonus money to play games from 17 providers at Dream Jackpot Casino. Owners of Apple, Android, Blackberry, and Windows smartphones and tablets can play all the games at Dream Jackpot Casino without downloading any app or third-party software. This is because Dream Jackpot Mobile Casino is a web app based on HTML5 technology. It enables players to access all the mobile games on an instant play platform. To start playing at Dream Jackpot Mobile Casino, players only have to visit the casino on the browsers of their mobile devices, login using existing desktop casino details or open a new account on their smartphones and tablets, visit the game portfolio, and tap on a game of their choice. The games will instantly open on the mobile device browser. Dream Jackpot Casino operates on the White Hat Gaming software platform, which allows integration of games from multiple providers. The online casino, therefore, offers games from the following 17 game providers—2By2 Games, Blueprint, Evolution Gaming, Games Warehouse, Genesis, Just for the Win, Lightning, Merkur, Magic Dreams, Microgaming, Multicommerce, Probability Jones, Quickspin, and others. The game portfolio includes Evolution Gaming's live dealer games along with 31 progressive jackpot games from several providers. In addition, players can try slots, blackjack, roulette, poker, and fun games such as Pots O Luck and Lucky Gems. Dream Jackpot Casino welcomes newly registered South African players with a welcome bonus package that is spread over their first three deposits. Players can claim as much as R9000 plus 150 free spins. Players can use their free spins on Wild Wild West Slot. To qualify for this bonus, players have to create a new player account and deposit at least R20 in their accounts. This bonus has wagering requirements of x35 the bonus, the deposit, and the free spins winnings. Players have to satisfy the wagering requirements before requesting payout for the first time. Players can load their accounts using safe and reliable methods such as Visa, MasterCard, Giropay, Trustly, PaySafeCard, Sofort, Skrill, DotPay, Neteller, Interac Online, and Bank Wire. However, to view details of the banking methods, players have to register a real play account and visit the cashier section. Since the online casino operates under a license issued by the UK Gambling Commission, players can rest assured that their money is safe and protected. This is because UK gambling regulations require operators to maintain player funds separately from operational funds. Players can withdraw their winnings with the banking option they used to fund their account. Some of the most popular South African withdrawal methods at Dream Jackpot are credit/debit cards and electronic wallets. The minimum withdrawal limit accepted at Dream Jackpot is R25. Before requesting payout, players have to deposit at least once and play through it completely. Winnings will be paid out in instalments in case of jackpot wins of over R100,000. WHAT DO WE THINK OF DREAM JACKPOT CASINO AS A WHOLE? Dream Jackpot Casino is an excellent online casino for South African players because it supports ZAR, offers 24/7 customer support services, and offers banking methods convenient to South African players. South African players can enjoy instant play gaming services on multiple devices and browsers and even win large jackpots on the move.